So I'm in class, browsing Anthropologie, of course not buying anything, and noticed they make dog clothes...haha what? Check this out. Just made me laugh, and if I were Blair Waldorf I would own these expensive dog ensembles....so great. 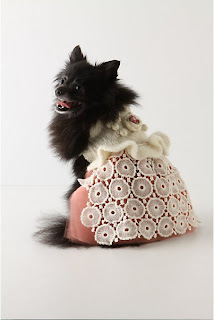 Keep your pooch cozy and warm this winter, not to mention well dressed, in this femme lace and tulle sweaterdress. I don't need that dress for Miss Katinkles, but I would like this...$148 no big deal. 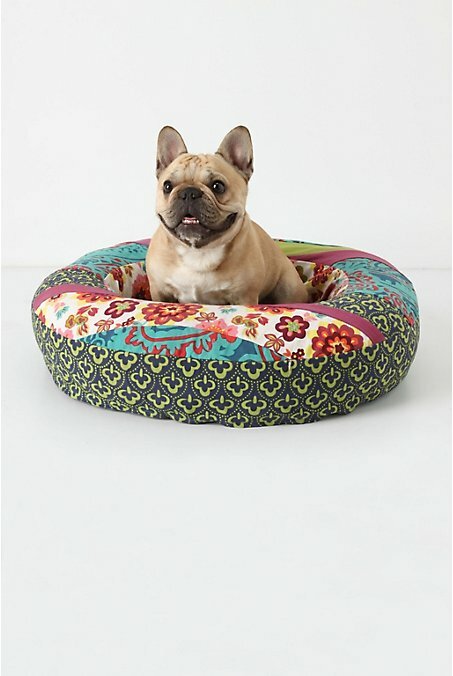 Not the dog, but the dog bed.